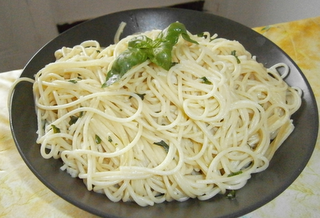 Here is a recipe that comes directly from the South of France to prepare your spaghetti. Like I always say, pasta is great, but if you always use tomato sauce, it's boooring!!! 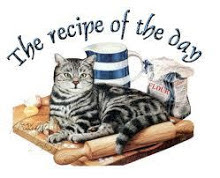 And there are other recipes that are as easy and quick (and tasty! ). Cook the pasta. Meanwhile, chop the basil (spare some leaves to decorate) and crush the garlic. Brown them in a sauté pan in olive oil. When the pasta is ready (and when you have thrown the water away, do I have to say? ), add it in the sauté pan and stir well. Add some olive oil if necessary. Serve immediately.